The free version is OK although rather cut down. My review is for the paid version. You would expect bother versions to operate the same – just with extra features. Unfortunately not, in WP V4 the paid version prevents visual editor from working. I deactivated all other plugins to prove this was this case. The developer refuses to accept his product is at fault and refuses a refund. In fact he disbelieves I even activated the plugin. Given his (?) attitude I am not prepared to deal him any further. I am writing my $100 purchase price off to a very bad experience as it would cost me more in time to continue to peruse this. All I can say is buyer beware! The PRO Version works and everyone can use it before they purchase here is the DEMO. Here is the support thread related with the review. The user didn’t give us a chance to support him. It is has nothing to do with what we believe or not. 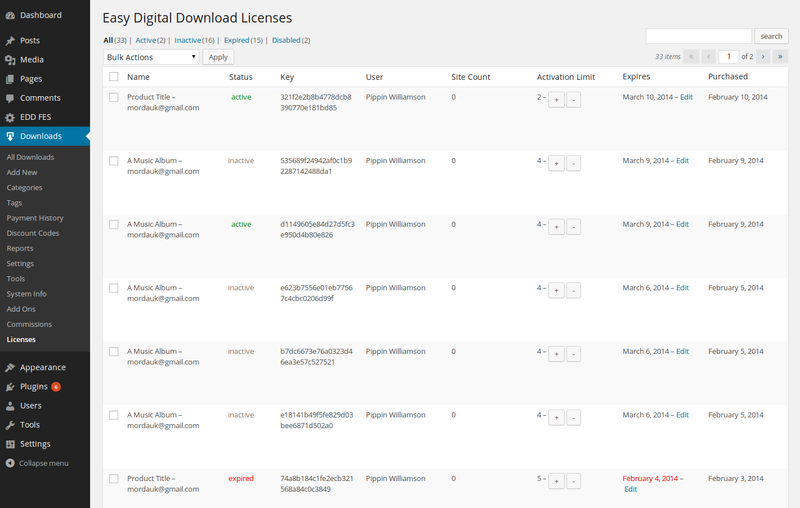 We use easy digital download for licensing our products and it allows us to see whether a license is active and linked to a site. The topic ‘Run Away as Fast as You Can’ is closed to new replies.